Self/Less is a film which reminds you constantly not to suspend belief. 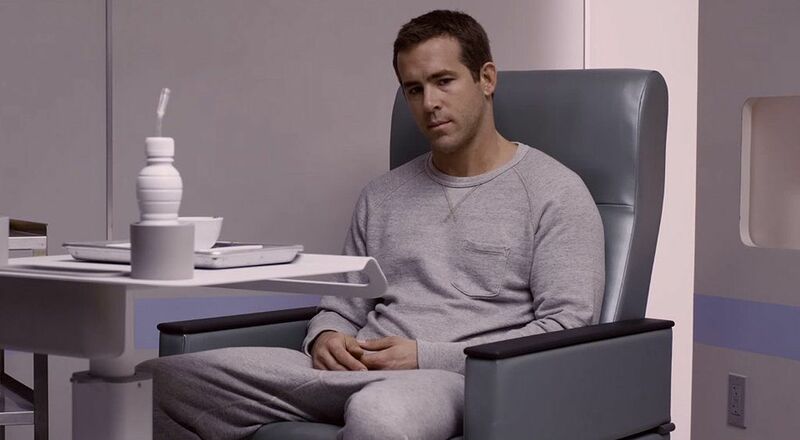 The plot in Self/Less isn’t bad in itself but paired with bad writing/dialogue and a flat performance from Ryan Reynolds it pushes the film from being a promising B- film to a soulless cash in on tried formulas. An over reliance on action movie tropes ,such as exaggerated military training capabilities, makes Self/Less fall into the category of outright silliness at times. Characters behave and react to events in illogical and absurd manners. We are treated with a relatively disappointing and weakly written female supporting roles in a post-Mad Max society. A thoroughly unscientific plot attempts to prove that it is grounded but falls painstakingly short and expounds the gullible nature of Ryan’s on-screen “wife” even further. What could have been embraced as a distant undiscovered possibility is squandered by unconvincing narrative. This movie had an intriguing premise which would be better suited to relish in its obscurity. It focuses on tried and overused devices in Hollywood filmmaking. With a lack of rational characters and motives, Self/Less fumbles while searching for it’s identity. While there is an obvious protagonist and antagonist, there really shouldn’t be. The audience is essentially forced into an opinion which would be fine if there was some sort of reasonable payoff. We are given a glimpse about a debate on who is really right and wrong but ultimately do not care due to lack of execution. Self/Less isn’t a terrible movie but it certainly isn’t one that treats its audience as though they are remotely intelligent. This entry was posted in Movie Reviews and tagged action, action movie, action sequences, Ben Kingsley, Film, movie, movie reviews, Movies, Review, Ryan Reynolds, sci-fi, Self/Less. Bookmark the permalink.